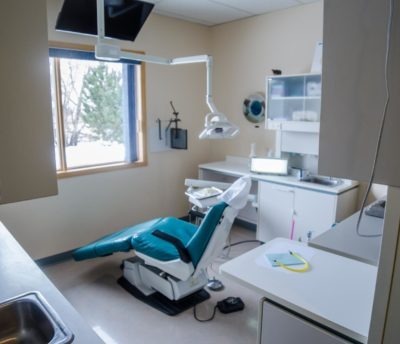 Our Brooks Family Dentistry is provided by the dental team of Dr. Struan Vaughan and Dr. Earl Pierson and the Parkview Dental team; they are here to address the oral health needs of everyone in your family. Your oral health has been proven to be an important factor in your health wellness. At Parkview Dental, we firmly believe that every patient deserves personalized care with the goal to create a lifetime of beautiful, healthy smiles! A) Absolutely — We Love New Patients! Parkview Dental is accepting new dental patients without the need for a referral, and we look forward to the privilege of being your Brooks Dental Health provider. Our team is dedicated to providing you and your entire family with quality dental care. If you are a new patient, please download and complete our new patient package to help facilitate your intake. Should you have any questions, please contact us at (403) 362-3799 or (403) 362-3752 and our administration team will be happy to assist you. Q) Are Families Always Welcome at Parkview Dental? A) Parkview Dental offers Brooks Family Dentistry to provide you and your entire family with the care and education they need for a lifetime of healthy smiles. Parkview Dental accepts patients of all ages. We take pride in creating a friendly, gentle and comfortable atmosphere for our young patients because we believe that visiting the dentist can and should be an enjoyable experience. Our team of dental providers aims to create trusting relationships with your child because the experiences your child has with their dentist at an early age impacts how they will view dental care as an adult. Studies show that children who have positive dental experiences tend to visit their dentist on a regular basis into adulthood. Parkview Dental invites you to tour our Brooks Family Dentistry practice and meet our dental team before you make your initial appointment. We want you to be confident in your choice to make Parkview Dental your Brooks Family Dentist right from the start. Q) Why are Regular Check-ups Important? A) Parkview Dental provides Brooks Family dentistry services such as routine cleanings, examinations, and fluoride treatments. Regular dental appointments can identify problems early before they become more serious. In addition to our comprehensive dental examination, we use digital x-rays of the teeth and surrounding bone to diagnose cavities and any underlying concerns that could be developing beyond the naked eye. Q) Do You Treat Dental Emergencies? A) Absolutely! Dental emergencies often come without warning and can be a very stressful time for everyone involved. If someone in your family experiences a dental emergency, please contact us as soon as possible, and we will do our best to determine the best course of action to help them. We offer same-day emergency appointments because providing you with pain relief is one of our top priorities. Q) What Types of Dental Services are Offered at Parkview Dental? Q) Will You Accept Payment from My Insurance Company? A) Dental insurance benefits are used to help our patients cover some or all of the cost associated with their dental care. Not all dental insurance plans are the same which makes it important for you to understand your specific plan details before your appointment. Most dental plans cover some, but not all of the cost of your dental care. The dental fees billed at Parkview Dental for our services are the usual and customary fees charged to all our patients, whether you have dental insurance or not. Your particular policy may cover treatments and services at a fixed fee schedule, which typically does not coincide with our usual fees. In these cases, here the difference in fees not covered by your insurance company becomes your responsibility to pay and will be invoiced to you once we receive payment from your dental plan. Q) What Should I Bring to My First Visit at Parkview Dental? A) Please ensure that you bring your dental insurance cards along with your plan details. Our office administrators will do their best to help you understand your coverage details and whether your plan allows for the assignment of benefits. If you have questions about the services offered at Parkview Dental or if you would like to schedule an appointment, please contact our office today!